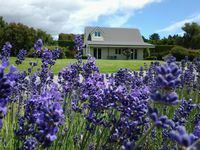 Properties in Te Horo Beach average 4.6 out of 5 stars. Relax and have fun close to the beach. Property 4: Relax and have fun close to the beach. PEKAPEKA BEACH FRONT RETREAT IN RURAL SETTING. Property 7: PEKAPEKA BEACH FRONT RETREAT IN RURAL SETTING. Property 9: Beautifully appointed self contained studio. Property 11: Relaxing Retreat, Need Some Time Out, Escape Here! RECENTLY RENOVATED PROPERTY RIGHT ON THE SAND! NEW DECK AND FREE WIFI! Property 22: RECENTLY RENOVATED PROPERTY RIGHT ON THE SAND! NEW DECK AND FREE WIFI! 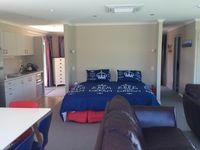 Property 26: Holiday on Henare, Olde Beach Waikanae. Stunning ocean views at end of the garden. Property 42: Stunning ocean views at end of the garden.